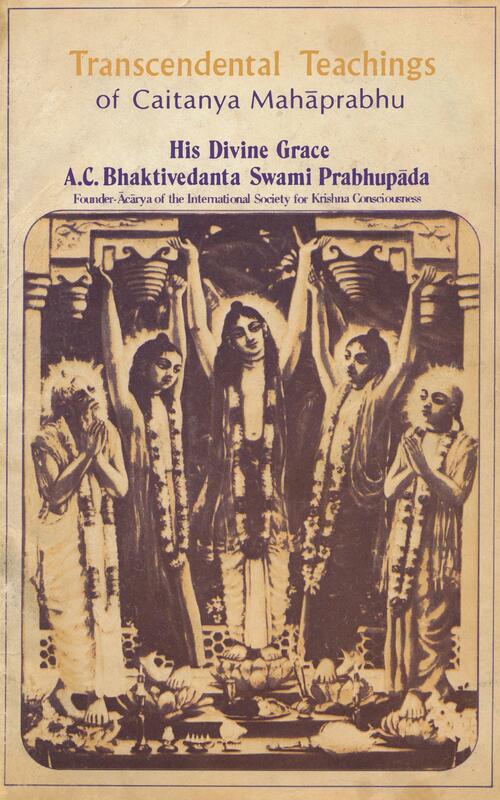 I have been reading, with rapt attention, from Volume One, of the Third Canto, of Srimad Bhagavatam, by His Divine Grace A. C. Bhaktivedanta Swami Prabhupada, each morning. As I was reading this morning the words “…all-inclusive welfare service for the entire human society”, just kinda jumped out at me, as did the words “…greatest welfare service for the world”. 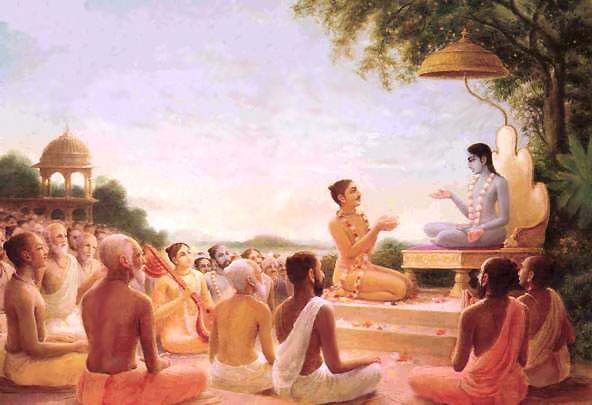 I am reminded of the importance of hearing Srimad Bhagavatam every day, and of our good fortune to be able to partake in this transcendental conversation (kṛṣṇa-kathā). There are many topics for different persons in different modes of material nature, but the essential topics are those in relationship with the Supreme Lord. This morning I awoke early, and before rising, I was just going over the dreams in my head. I was dreaming about the following verse from the Srimad Bhagavatam. I have been very much absorbed in my worldly occupation of late, writing up contracts, submitting bills, paying employees etc. and have mostly been waking up with thoughts of work. 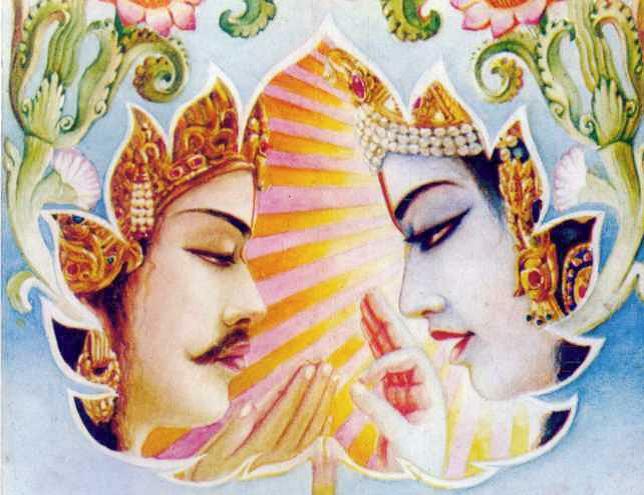 But this morning I was dreaming about a specific verse from the Srimad Bhagavatam. Interesting! So I went to the Bhagavatam, and read the purport to this verse. …We have purposely denoted dharma as occupation because the root meaning of the word dharma is “that which sustains one’s existence.” A living being’s sustenance of existence is to coordinate his activities with his eternal relation with the Supreme Lord Kṛṣṇa. 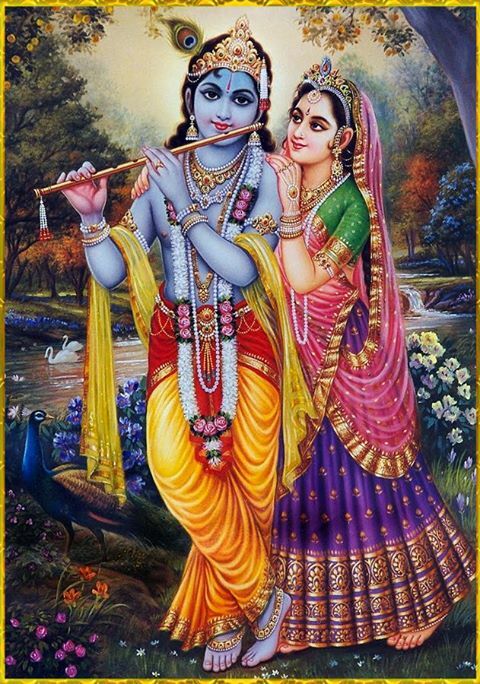 Kṛṣṇa is the central pivot of living beings, and He is the all-attractive living entity or eternal form amongst all other living beings or eternal forms. Each and every living being has his eternal form in the spiritual existence, and Kṛṣṇa is the eternal attraction for all of them. Kṛṣṇa is the complete whole, and everything else is His part and parcel. The relation is one of the servant and the served. 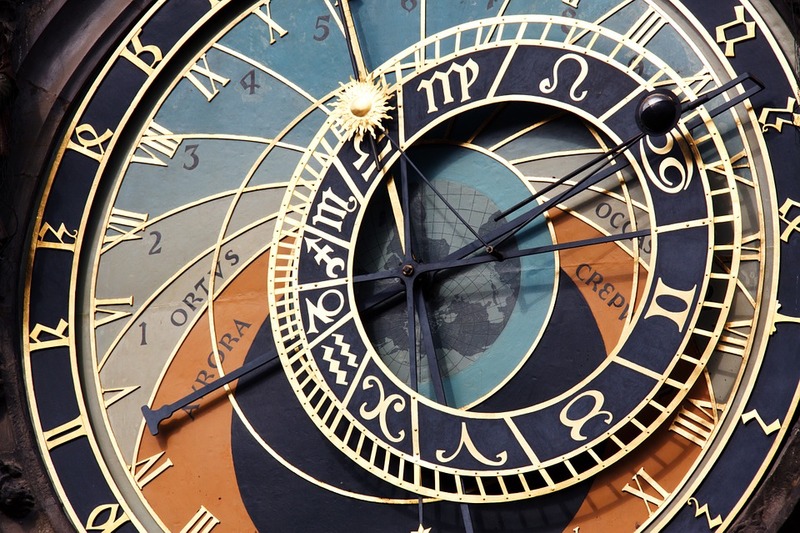 It is transcendental and is completely distinct from our experience in material existence. This relation of servant and the served is the most congenial form of intimacy. One can realize it as devotional service progresses. Everyone should engage himself in that transcendental loving service of the Lord, even in the present conditional state of material existence. That will gradually give one the clue to actual life and please him to complete satisfaction. Somehow I feel more satisfied, more complete, after my reading. 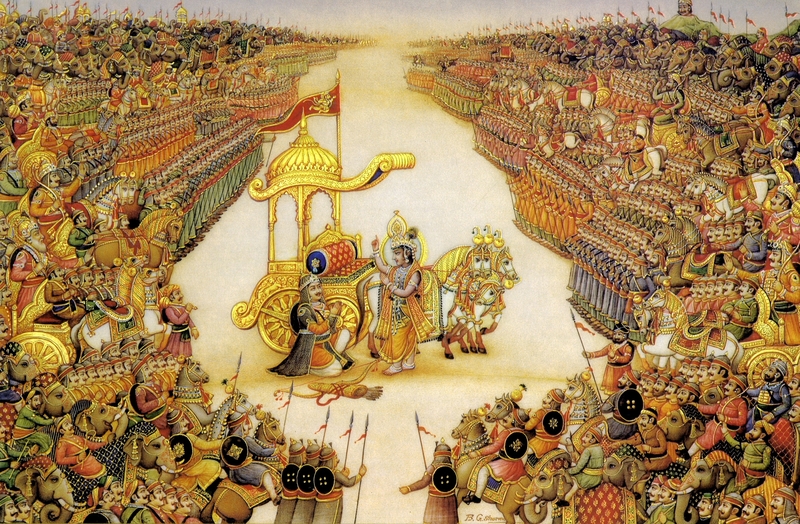 …at that time Kṛṣṇa, smiling, in the midst of both the armies, spoke the following words to the grief-stricken Arjuna. 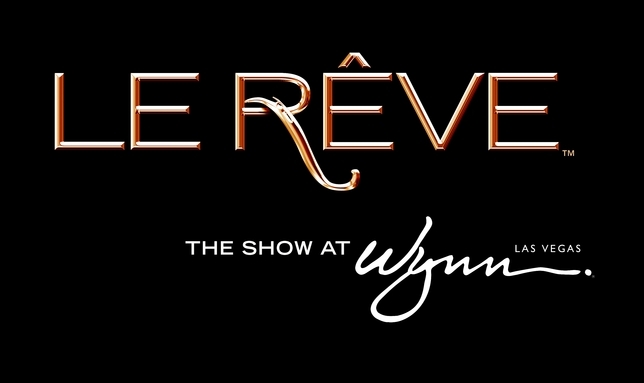 Recently we were in Las Vegas for a wedding celebration, and after dinner we went to the show “Le Reve” at the Wynn. “Le Reve” is French for; “The Dream”. It was the most amazing theatrical performance we have seen in years. My mind was swept away by the magnificence of the production, and it was in fact, dream-like. I was transported to another dimension; phantasmagoria. A.C. Bhaktivedanta Swami uses this word in his books, to describe the dream-like nature of this material world. 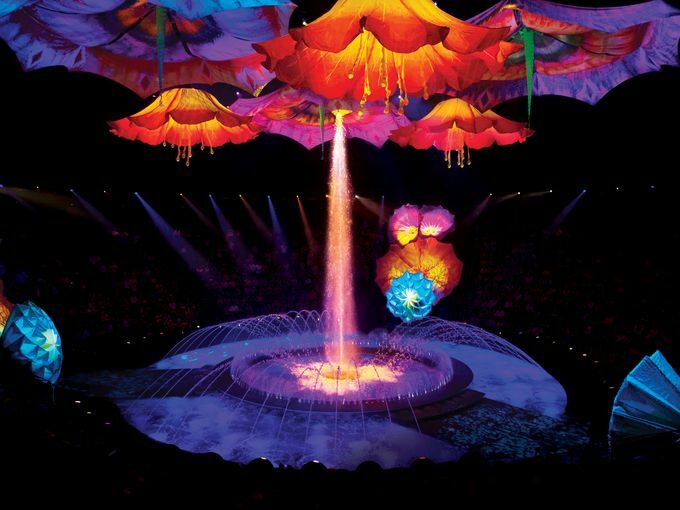 I would highly recommend seeing Le Reve at the Wynn, if you are in Las Vegas, and as always…recommend reading the books by His Divne Grace A. C. Bhaktivedanta Swami Prabhupada for further advancement and enlightenment in life. 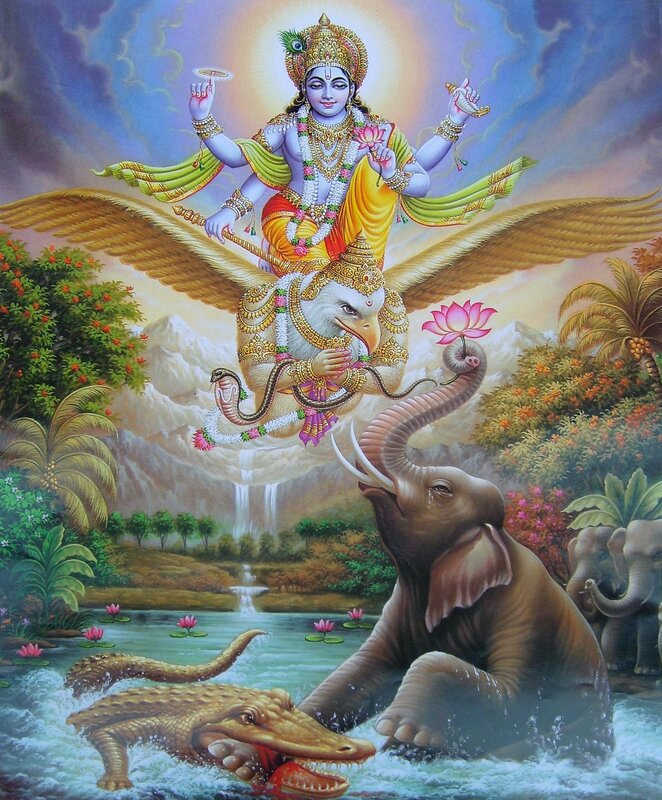 The following are the prayers by Gajendra, the King of the elephants, offered to the Supreme Personality of Godhead, during his difficult struggle with the crocodile. It appears that the King of the elephants was formerly a human being known as Indradyumna and that he learned a prayer to the Supreme Lord. Fortunately he remembered that prayer and began to chant it. 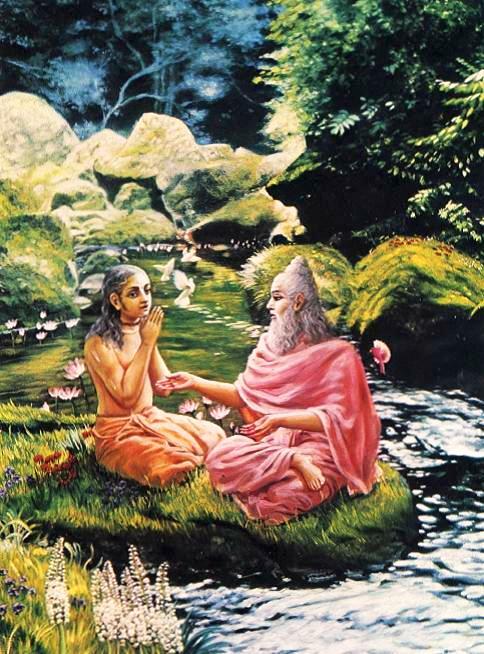 First he offered his respectful obeisances to the Supreme Personality of Godhead, and because of his awkward position in having been attacked by the crocodile, he expressed his inability to recite prayers nicely. Nonetheless, he tried to chant the mantra and expressed himself in the prayers that follow. 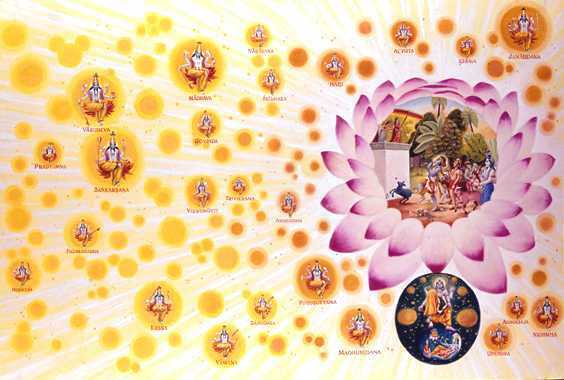 …The Lord descends to this mortal world to show His pastimes in Vṛndāvana, which are full of happiness. When Lord Śrī Kṛṣṇa was in Vṛndāvana, His activities with His cowherd boy friends, with His damsel friends, with the inhabitants of Vṛndāvana and with the cows were all full of happiness. 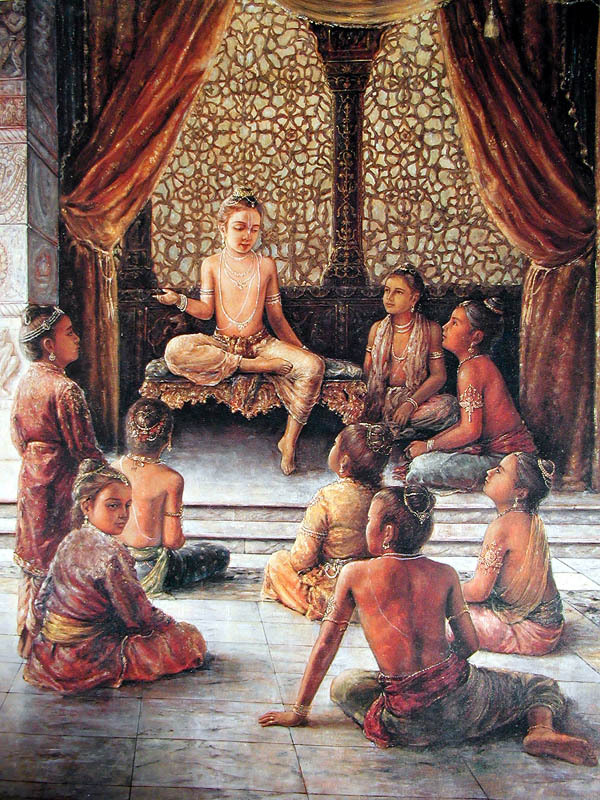 The total population of Vṛndāvana knew nothing but Kṛṣṇa. But Lord Kṛṣṇa even discouraged His father Nanda Mahārāja from worshiping the demigod Indra because He wanted to establish the fact that people need not worship any demigod. 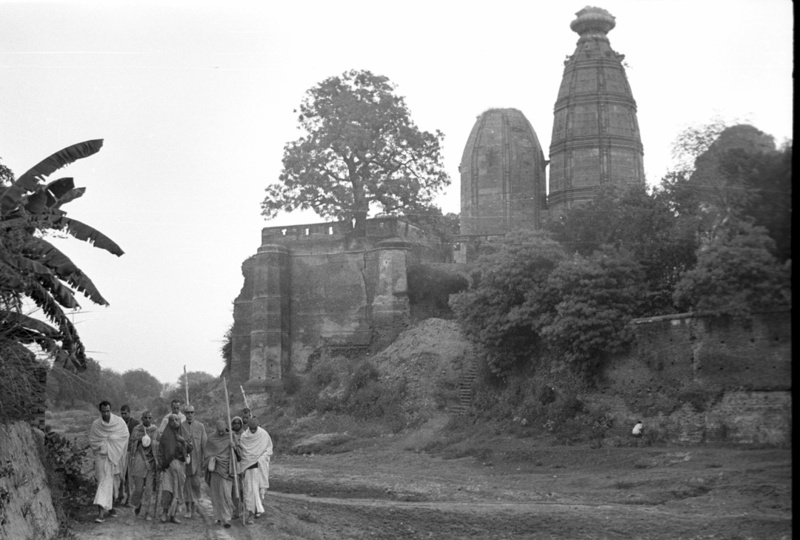 They need only worship the Supreme Lord because their ultimate goal is to return to His abode. …The peace for which you are hankering in life after life, moment after moment—that you’ll get at that time, when your desires are purified, and dovetailed with the Lord. 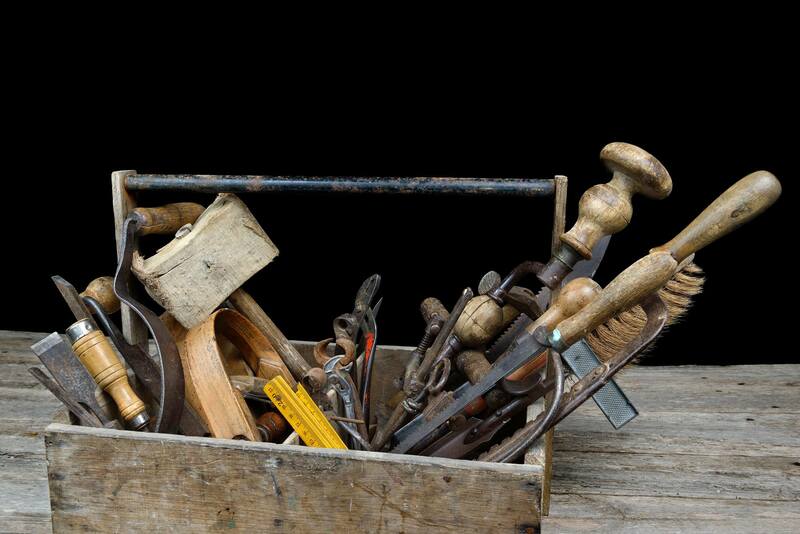 One who desires sense gratification, the enjoyment of material satisfaction, will never be happy. That is not possible. If you want peace, if you want happiness, if you want perfection in your life, then just begin to dovetail your desires, activities, and potentials with the Supreme Personality of Godhead. Then you will see what real happiness is, and can tell who is really crazy. Entering Srila Prabhupada’s quarters was always an enlightening experience. 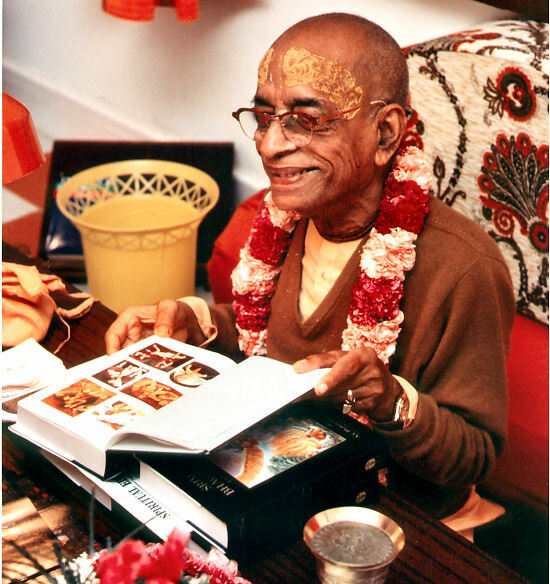 Sometimes Srila Prabhupada sat and read his books. 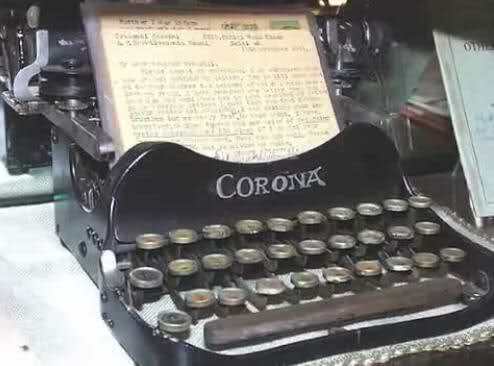 Whenever he read it seemed as if someone else had written his books because he didn’t read with the mind of an author who might be looking for editing mistakes or grammatical errors. He read them with the relish of a pure devotee reading the pastimes of the Supreme Lord to whom He was completely attached. Srila Prabhupada teaches us by example. He does everything he asks us to do. He requests us to read his books and he does, too.